Nothing on Earth so beautiful... | Life. Realized. ...as the final haul on Halloween night. Okay, so I'm a day late. And probably a dollar short. But, hey, I was living the dream (or playing student so I can get there), and taking Kiddo trick or treating. 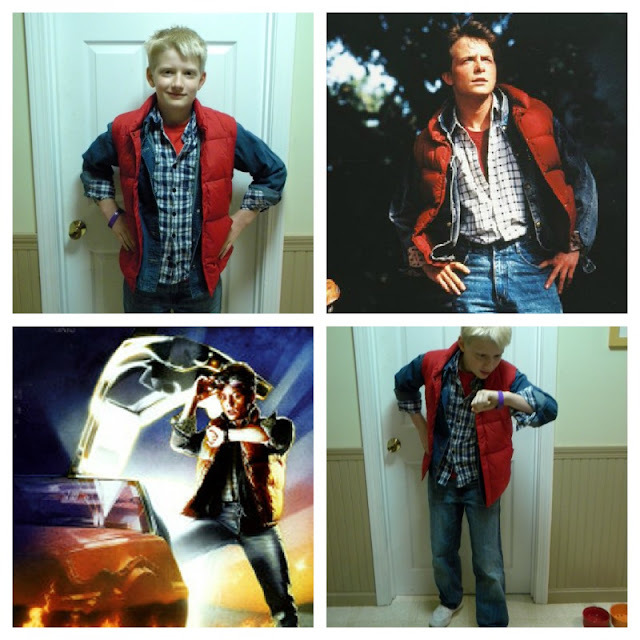 Marty Mcfly, Husband, Dog and I enjoyed some family time...walking, trick or treating, and catching up. Between parent-teacher conferences, coursework, and the ruckus Sandy raised, this week has been a little off-kilter. But I expect to have my blogging groove back by tomorrow. Just wait until I wow you with my latest ramblings!